InfoPath Forms Server Error: "There has been an error while loading the form. A required resource could not be downloaded. To try to resume the download, refresh the page." | Are you a user? InfoPath Forms Server Error: "There has been an error while loading the form. A required resource could not be downloaded. To try to resume the download, refresh the page." If you see this error, "There has been an error while loading the form. A required resource could not be downloaded. To try to resume the download, refresh the page." there is likely a security problem on your site. 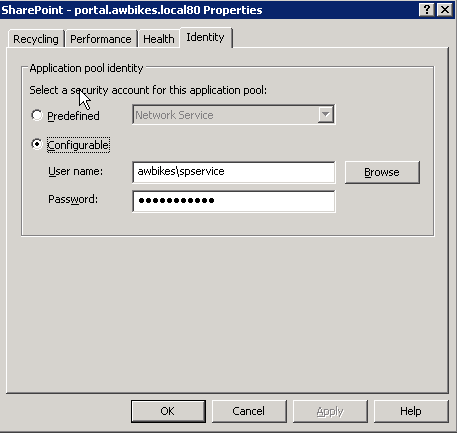 You may have a multiple server farm that is running your SharePoint site’s app pool under the Network Service account. Try changing the account to a domain account that is properly configured per Microsoft’s recommendations. Application pool identity: The user account that the worker processes that service the application pool use as their process identity. This account is used to access content databases associated with the Web applications that reside in the application pool. I have te same problem, I instaled and configured my sharepoint as server and now I’m trying to publishh it and open my form in browser. If someone can fix this problem it would help a lot!